Our iPhone app is now available! We’re pleased to announce that our new iPhone app is now available for free download from the iPhone App Store. With the app you can request an appointment, read salon news and blog articles, access special offers, get directions, view our lookbook and watch videos from our video library. 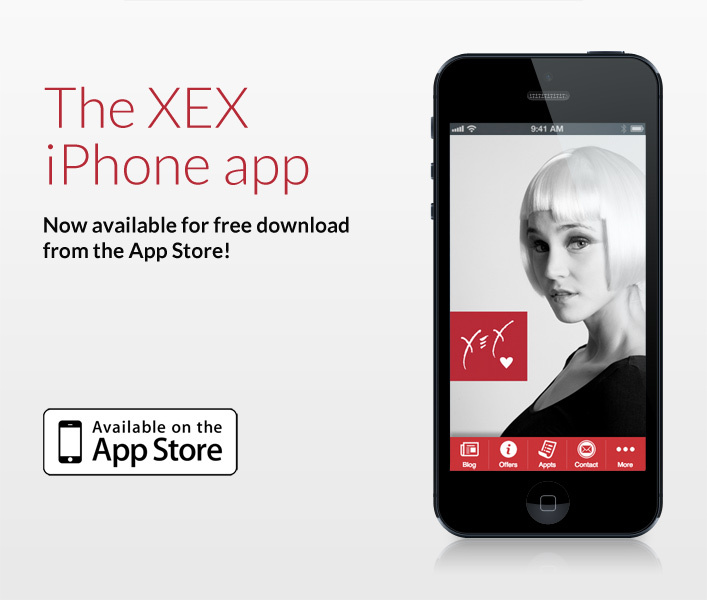 Click the link below or search for “XEX” in the app store to download it for free.